Ideal for many applications including retail point of sale, shelf price audit, receiving & distribution, inventory control, document control, and more. 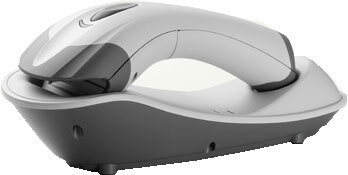 The ZBA ZB2852 cordless scanner offers performance advantages in speed, depth-of-field, reliability, sleek styling, and ease-of-use. This cordless Bluetooth enabled scanner is perfect for retail applications. It is easy to operate, light-weight and comfortable to use. The ZB2852 reads all common barcode symbologies from contact up to a distance of 125 mm including PDF417 2D barcodes. The rubber housing allows contact scanning for faster scans. An outstanding cordless scanner for retail applications, the ZB2852 provides unbeatable performance in a cost-effective package. The ZB2852 comes with a 5 year limited warranty.